Very clean and tidy interior, paintwork very good, slight dent seen on back wing. 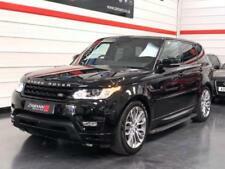 Range Rover p38 4.0 se auto. Dent in the rear wing. The AC doesn’t work. Fresh gearbox oil and filter. Headlining has been stapled up. Bad points. Interior is in good condition. New wipers. 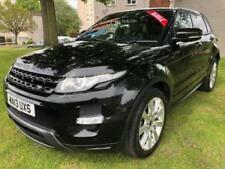 Land Rover Freelander 2.2 TD4 SE automatic. Panoramic glass sunroof with opening front sunroof. 2008 08 plate. Automatic headlights. The car drives well; everything works as it should! Power steering. Ace Cars Ltd - Call us on 441706577914 or click here to find out more. Speedo doesn’t work and hasn’t for years. I have a new speedo cable I’ll include but haven’t got round to fitting it. The mileage has frozen as a result. (It’s a Land Rover. If it’s not leaking, it’s empty). 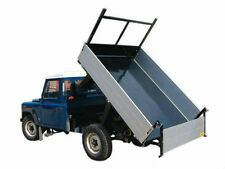 WMC Salvage - Call us on 441279219597 or click here to find out more. 2004 Freelander SE S/W Estate, petrol, 1796CC. 5 Doors, alloy wheels. Silver. Good bits; CD, AM/FM radio Heated passenger seat Power steering Remote central locking Electric window (front driver side) Half leather seats Parking sensors CD radio steering wheel audio controls. V5/log book present 1 key CO2 248g/km Paintwork in good condition Floor mats Tow bar MOT expires 28/1/2020 Not so good bits; The drivers heated seat doesnt work The passenger side window and both rear windows don't work Selling due to change of vehicle. This is a good car but it is 14 years old. All inspections welcome. Please contact me for more information. Top of the range HSE spec. Full leather heated seats and original Land Rover carpet mats. Vehicle is located in East Goscote, Leicester. Anyone who knows anything about cars might know more. Cash on collection accepted. 1999 Discovery 4.0 V8 Auto. MOT until 25th of October. Drives well and V8 runs well. There is a minor fault that when started from cold the engine over revs but once she has been a couple of miles it settles down i’m told it needs an idle valve which I’ve seen for about £40. 2002 discovery 4.0L V8 ES. Has discovery 1 diff lock turret and leavers making a manual diff lock. Converted to a manual using r380 (needs gater and gearnob to finish). Sunroofs have been sealed. ACE has been removed. For sale my battle hardened truck, 12 seater with original 200tdi engine, just done 200k, miles to go up as used every day, new transfer box last year, 4 Goodyear wrangler tyres, 2 new last year, and 1 spare on swing arm, galvanised roof rack with access ladder. Could be a project or / and export to USA. Please contact for more info. Land Rover discovery 3 gs (7 seater). Will be having a full valet this weekend. Parking brake fault (is an auto so never bothered looking at it). Clean inside and out (odd mark here and there). Tow bar (tows great!). Discovery td5. Roof light bar with led spot lights. Led light bar in grill. Full leather seats. Full service. Full clutch kit. Exhaust manafold gasket. Running belt. Nice 2004 54plate 5door Land Rover freelander td4 sport Automatic, 160k millage with Full Service history, 7 months mot, well kept and maintained stars and drives perfectly without any issues, bodywork in average condition for age . It runs and drives and still has an MOT until 21st October 2019. Known faults are: slight diesel leak from the fuel pressure regulator. Drivers door lock has been broken due to an attempted theft (see picture). 25 Oct 2017 - Transfer box and prop shaft changed. Following an initial engine seizure in May 2017 a reconditioned engine was installed by BMW Engine works (Rainham). 17 May 2017 - Initial Engine seize. Here we have my girlfriend's Freelander. In great condition for year with cream leather interior, there's a few marks here and there as you would expect on a vehicle used for a daily commute of 60 miles in total and it is afterall 13 years old. Hi here we have my 02 freelander, it's an unfinished project with no mot so would have to be taken away on a trailer. And it's sold as seen, I have put 5 nearly new tyres on it plus a brand new battery and clutch master cylinder it starts and drives fine! It does have an engine management light on and the engine feels laboured , I have spoken to a mechanic and he said as it has been standing for a couple of years, it probably just needs a service! I have a new complete service kit oil plugs filters ect that I will supply with the vehicle, the only other problem that I am aware of is that the rear brake lights are on all the time . Genuine reason for sale ,I am moving house and I haven't got the room or time so it has to go. Thanks for taking the time to look, happy bidding . 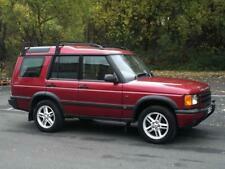 Land Rover 90 2.5 petrol 1989 Only 89,000 miles 12 Mths MOT USA?? BAD POINTS: Syncro on 2nd gear just started crunch, will need LH front inner wing repairing for next MOT. 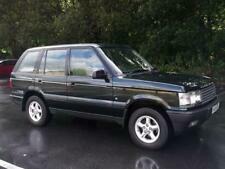 Land Rover discovery TD v6 2007 in good condition. Poyntnzpass Co Down Northern Ireland. Just had timing belt kit replaced and full engine service. Remapped and it’s ridiculously fast. 2004 Discovery Facelift Landmark Td5 manual 142k with 12 months mot. Rear light guards. Got so much power when you boot it she struggles to put the power down. Interior is very clean, good headliner, new gators no warning lights on the dash drives great, mint underneath no rot or rust, sunroofs have been sealed too so no leaks. It did have a Rover v8 but I then decided to fit a defender 200tdi engine and box once I realised that racing it wasn’t an option. Solid bulkhead (only small hole bottom of LH pillar). Braided brake hoses. 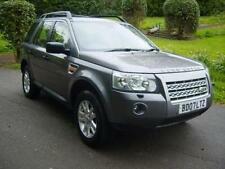 Freelander 2 S ,owned for the last 6 years, recent service,very low miles 61500 to date,tested until october 19. For sale my Land Rover Freelander. The car has had five keepers since new and I have owned the car for the last seven years. The car runs well and has an MOT until March 2020. Tear to the side of the drivers seat. Here we have for sale a discovery 2 TD5 in dark green 1999. Good Td5 Engine, and pretty quick, for one of these. Discovery2 bobtail.Now Has almost 1years MOT so good to go! Suspension lift on a excellent painted chassis, all in really good condition. Here I have my Land Rover 110 defender in grey. It has just over 154,800 miles on and this will increase as it’s in daily use. It pulls well in all gears, engine and gear box all feel good and the truck it self is in very good condition.